Martin Shkreli, the former CEO of Turing Pharmaceuticals under indictment on charges of securities fraud, took to Twitter Saturday to claim he's innocent. "I am confident I will prevail. The allegations against me are baseless and without merit," Shkreli tweeted from his verified Twitter account on Saturday afternoon. 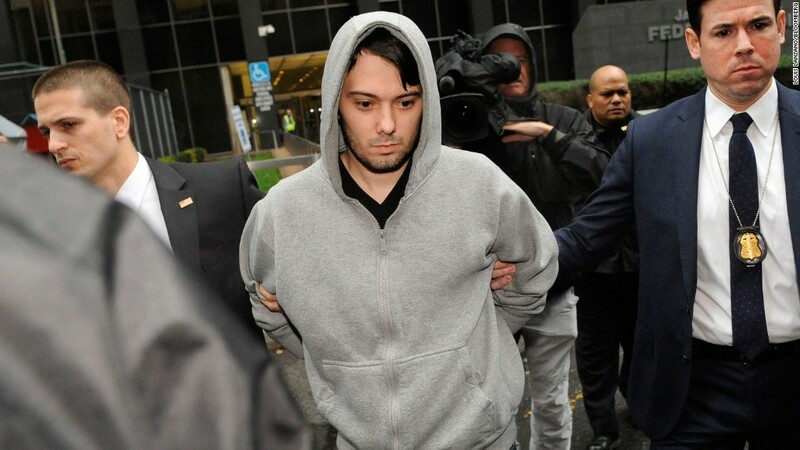 The FBI arrested Shkreli, 32, on Thursday morning in New York. He faces criminal allegations that he bilked a company out of millions of dollars. Following his arrest, Shkreli stepped down as CEO of Turing Pharmaceuticals. Turing's chairman, Ron Tilles, will take over as CEO on an interim basis. The criminal charges do not relate to Turing Pharmaceuticals, the company Shkreli thrust into the headlines after he raised the price of its drug Daraprim by more than 5,000% earlier this year. Instead, the federal case centers on Shkreli's time as CEO of Retrophin, (RTRX) another biotech company that ousted him last year. The indictment was brought by prosecutors in Brooklyn. I am confident I will prevail. The allegations against me are baseless and without merit. Federal law enforcement officials said Shkreli ran his companies "like a Ponzi scheme" and that the charges he faces represent a "trifecta of lies, deceit, and greed." After stepping down from Turing Pharmaceuticals, Shkreli unwound on Friday night by live streaming himself on YouTube for nearly five hours. He told viewers that he couldn't talk about business or the allegations he faces, but that he was not hurt at all during his arrest and is not wearing an ankle tracker.